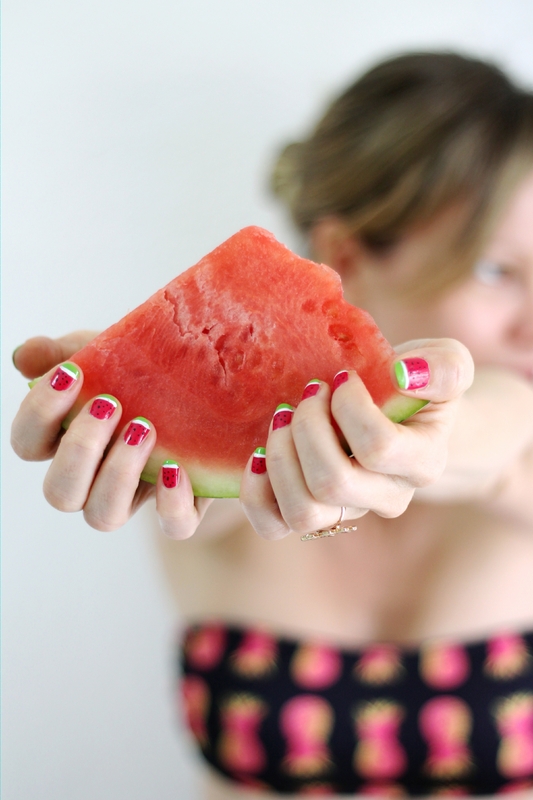 Melon definitely is one of my favorite fruits. 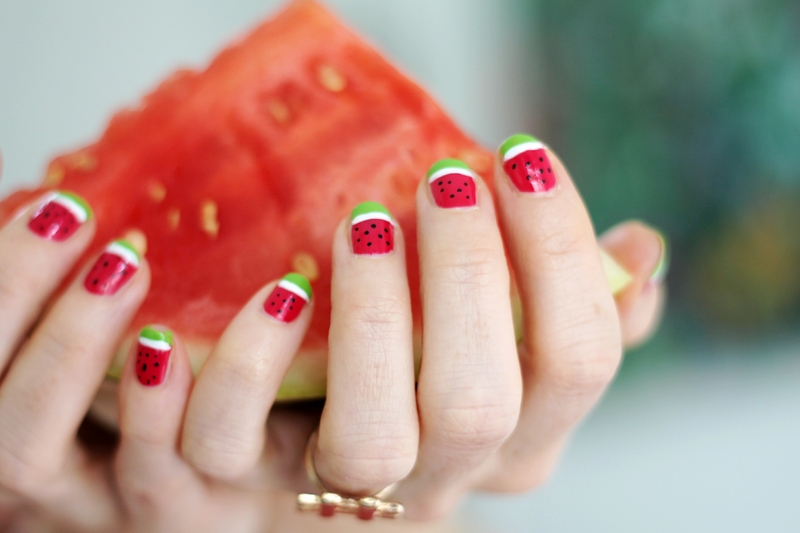 I love the taste and also the smell of it and there always comes up a real summer feeling in me. 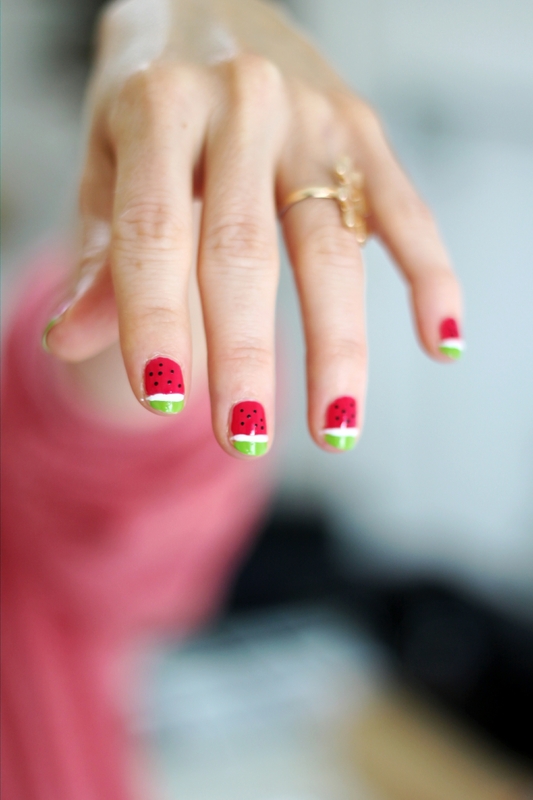 At the moment you can’t melon only buy for eating but also in a big selection of clothing and accessories and so I thought why not melon on the nails and I‘ ve tried myself and documented everything for you! For the first time it has become quite good, but it certainly can be improved. 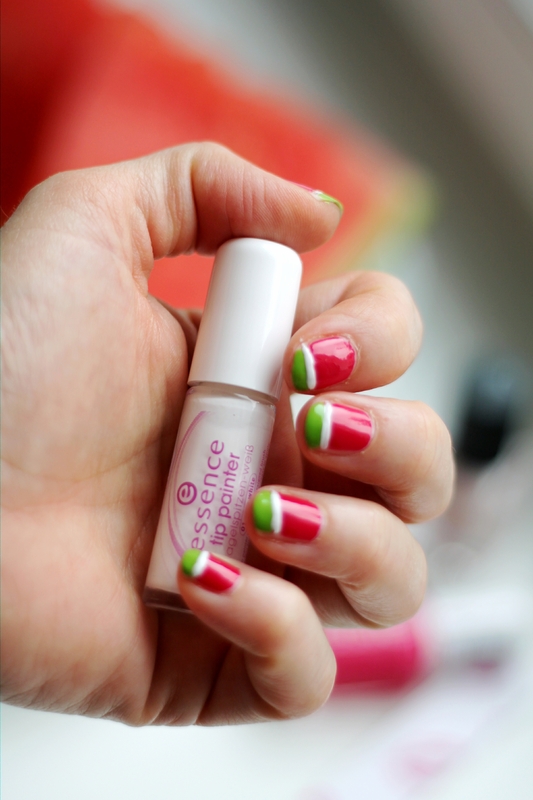 I hope you like my melon tropic sunday nails. Melone gehört definitiv zu einer meiner Lieblingsfrüchte. Ich liebe nicht nur den Geschmack, sondern auch den Geruch! Da kommt in mir ein richtiges Sommergefühl hoch. 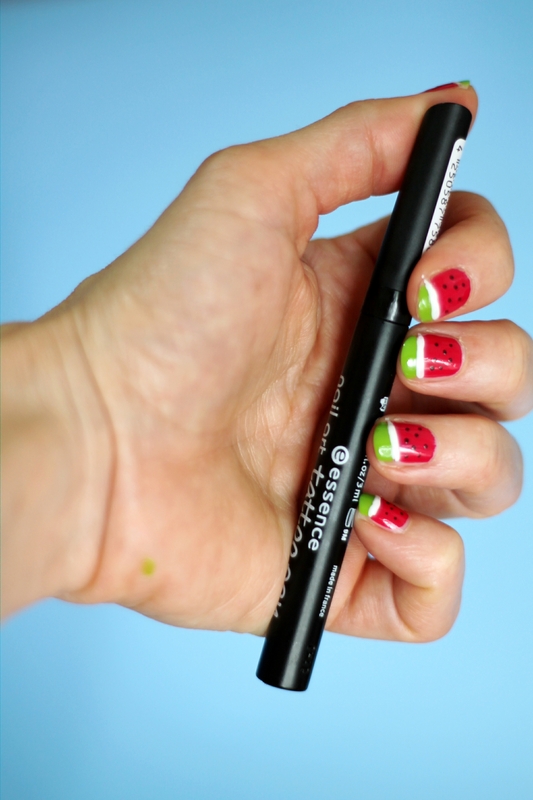 Im Moment bekommt man Melone nicht nur zum Essen zu kaufen, sondern sie ziert eine Vielzahl von Kleidungsstücken und Accessoires und da dachte ich mir warum nicht auch Melone auf den Nägeln und habe mich mal versucht und für Euch alles dokumentiert! Für’s erste Mal ist ist ganz gut gelungen, aber sicher noch ausbaufähig. 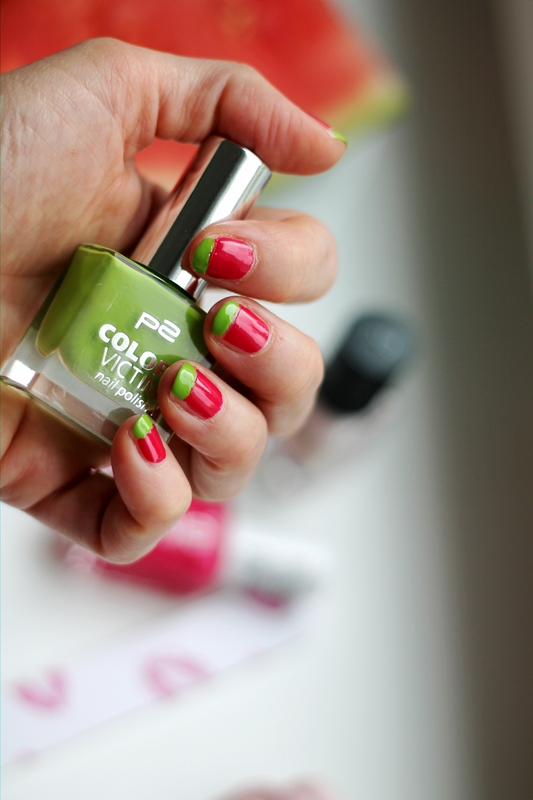 Ich hoffe Euch gefallen meine melon tropic sunday nails. 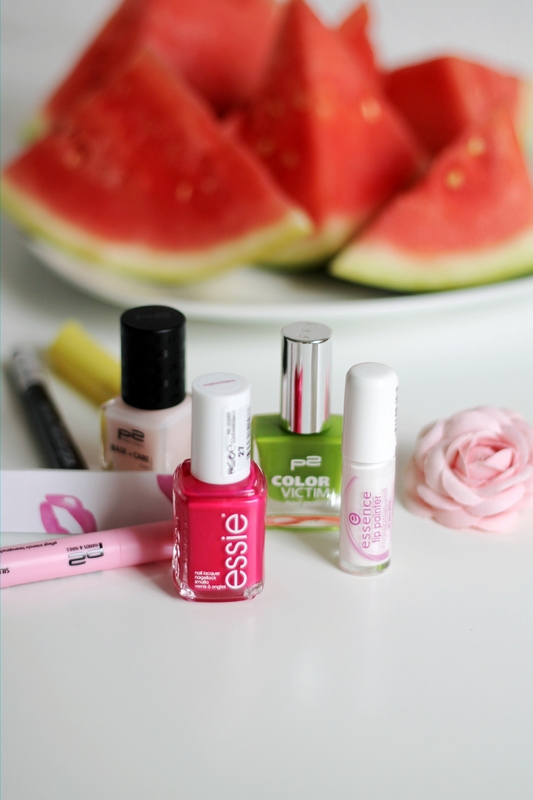 Dieser Eintrag wurde veröffentlicht in beauty, fashion news und verschlagwortet mit essence, essie, fashion, floatingbohemian, melon, nailart, nails, p2, watermelon von floatingbohemian. Permanentlink.